Work , Raining Days, and Baking. Hey guys today was a great day I woke up feeling positive and ready to take on the world. I feel like I spend to much time focusing on all the negative things going around that I consume myself with that negative energy. I also find myself stressing with college that I take it out on other people. Blogging ,exercising, and daily devotion has become such a great positive outlet for me. I feel that I can honestly say I am pretty happy with the decisions I am making in my life.So today I went to work pretty much what felt like all day. But I guess working at Starbucks during the fall has it perks getting to smell coffee all day is like heaven. While I was on break I bought myself an Iced Pumpkin Spice Latte with caramel drizzle and salt , I guess you can say I am basic. I also bought the caramel apple loaf . The weather was so nice that it actually started raining , It was like a perfect fall day. Work went by super fast and was pretty easy. I then came home and heated up some leftovers. My mom and me have been slowly decorating our home for fall. Its raining outside so I thought it would be perfect to bake some bread (Apple Fritter ) and have some Pumpkin flavored coffee and enjoy this nice weather. That pretty much sums up what I did today. Let me know in the comment below what your favorite fall drink is ? 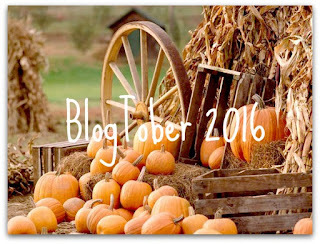 And don't forgot I am doing Blogtober dont forget to check out my previous post and leave your ideas below.